The main campus of City, University of London is at Northampton Square. The main reception is located here as is the Northampton Suite. Click here for a map of the campus. The Welcome Reception on 16 April evening will take place in DLG 03/08 Rhind Building, St. John Street. There will be a registration desk on 16 April from 1800hours in the Rhind Building. The Women in Optics lunch (DLG 03/08) and the Lumerical training workshop (D518) will both be in the Rhind Building . -	The talks will take place in the Centenary Bulding in the Birley Lecture theatre. A registration desk will be in operation from 17 April 0830 hours at the entrance of the Centenary Building. The Centenary Building is located at Spencer Street and is 1 minute walk from the Rhind Building. 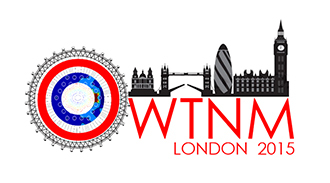 We cordially invite all OWTNM participants to the gala dinner on Friday, 17th April at a historic venue: the HMS President (1918). The HMS President (1918), formerly HMS Saxifrage is Flower class anti-submarine Q-ship completed in 1918, one of the three surviving warships of the Royal Navy built during the First World War. The location is at Victorial Embankment, EC4Y 0HJ. The dinner price is included in the registration. Additional dinner tickets for companions and guests of attendees will be made available at cost price subject to availability closer to the date. We invite all delegates to enjoy a traditional fish ‘n’ chips dinner with us on Saturday, 18th April, at 6pm after the conference is over. The dinner will be at Kennedy’s 184-186, Goswell Road, EC1V 7DT, and is less than 5 minute walk from the Institution. Airports in London and directions to City, University of London. To plan your tube travel and live travel updates visit Transport for London.